Objective: Training camp/games for Midget aged players over 5 full days in the Valley of the sun starting Monday, March 25 and ending Friday, March 29. 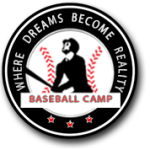 The camp will give the opportunity for each individual player and team to work on positional skill development with their coaches and former MLB players, coaches and scouts over the 5 Full days. Option 1 selection* Those choosing Option 1 will be responsible for their hotel room. Ground transportation is provided for BLE players to and from the designated team hotel to the park and all Team BLE events. February 22, 2019. Any rooms not booked by this time will be released and may only be available after that time at the regular rate.